Yamamoto Shoun (1870-1965) "Shadow Show" - Woodblock - Chinese and Japanese woodblock prints for sale, silkscreen, scrolls, watercolor, lithographs. Artwork Details for Yamamoto Shoun (1870-1965) "Shadow Show"
Condition: Fine. A couple of marks in the top margin. Remnant of folder mount on the verso edge. 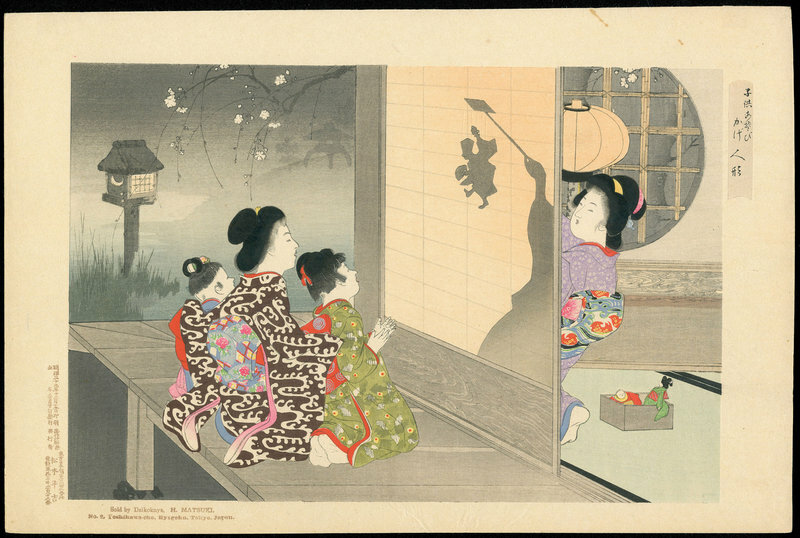 Notes: A beautiful print from a rare series by one of the best late Meiji\early Taisho-era artists.